Superstar Rajinikanth and Akshay Kumar joined hands to star in India’s most expensive film, 2.0, that is in theatres from today. Directed by Shankar, the sci-fi film which has Amy Jackson as the female lead, released worldwide on today on November 29. The film took a massive opening at the box office and earned over Rs 2 crore in Chennai alone on Day 1 of its release. According to the latest development, 2.0 has crossed the Rs 100-crore mark worldwide on its first day. Today, Ten News approached delhiites who witnessed the first show at PVR in the national capital. They were all happy with the investment they did in buying the tickets of 2.0 which is one of the most expensive show till date. 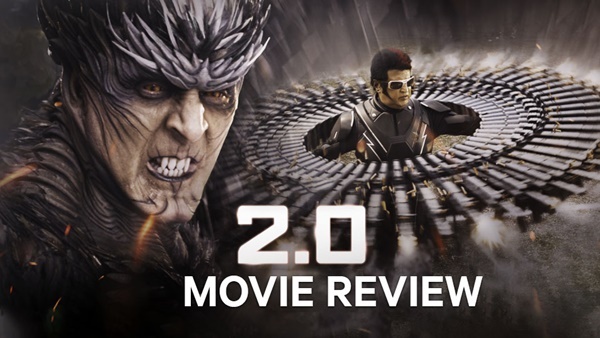 2.0 was released worldwide for both 3D and traditional viewing today, on 29 November 2018. It received positive reviews from film critics, with praise directed to the visual effects and performances of Rajinikanth and Kumar. The pace and screenplay received criticism. The film earned over ₹100 crore worldwide on its first day, which was the second highest ever for an Indian film. When asked by Ten News about 2.0, audience shared a very positive response. Although the amount of audience was not at all worth comparing with the audiences from South India as Superstar Rajnikant is worshiped by the people from South.